Level 1 – Authorized Numerologist Training Program along with my “WhatsMyDestiny” app. I will teach you the knowledge and guide you to develop your skills to understand and use the science of math called Numerology. Some of the most asked questions I get are listed below. These questions and many more are answered by knowing how to create and read a Numerology Chart. When will a meaningful relationship come into my life? Do I have any Karmic lessons to learn? Are you ready to expand your reach by guiding others and pursuing becoming an Authorized Numerologist? A whole new way of seeing the world opens up when you learn how to create and read a Numerology chart. This Numerology system is believed to be over 10,000 years old and has been in use with our number and letter system for the last 2,600 years. Today’s Numerology, developed by Pythagoras in 580 BC (the father of math) is a unique tool accessing mathematical systems and formulas in use for thousands of years that reveal who you are. These same ancient formulas identify and track the many paths and opportunities with timelines in your life. Wes teaches each class and works with you to learn the art and science of Numerology. He will give you the knowledge and guide you to develop your Numerology skills. 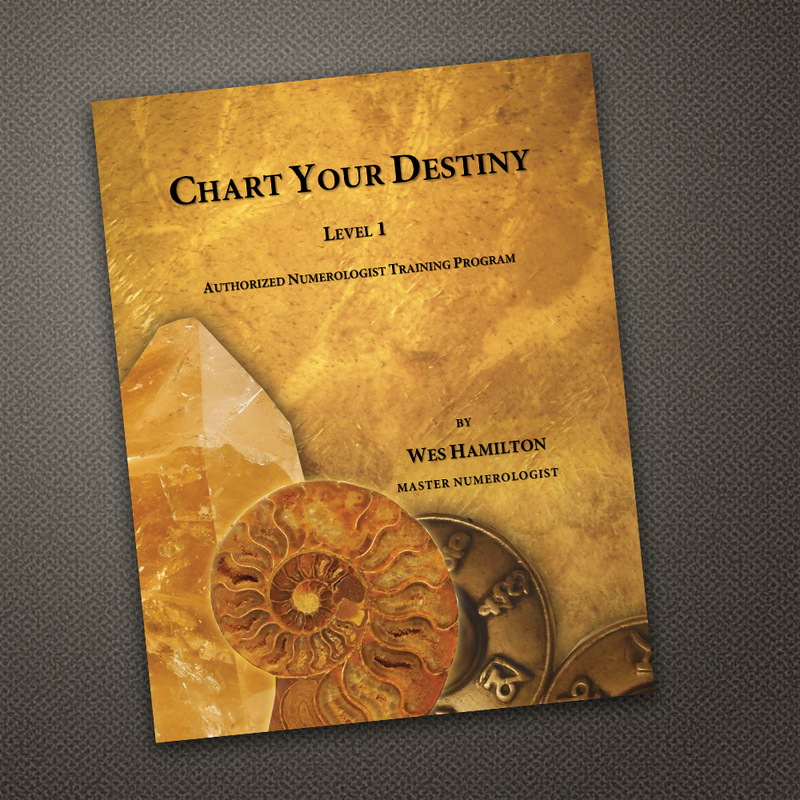 A complete Chart Your Destiny workbook to use over and over again to create Numerology charts for yourself, family, friends, and clients. A personalized and signed “Authorized Numerologist” certificate.